Home / Crime / Who is Dimitrios Pagourtzis, the Santa Fe school shooting suspect? Who is Dimitrios Pagourtzis, the Santa Fe school shooting suspect? Like most teenagers, Dimitrios Pagourtzis cultivated a social media presence. The 17-year old, who is alleged to have carried out the Santa Fe high school shooting, posted a picture on Facebook wearing a t-shirt emblazoned with the slogan, “Born to Kill”. On the page he also promoted a YouTube channel, using the pseudonym, “Comma Kazi”. A Facebook page under his name has since been deleted. An Instagram page, linked with Pagourtzis which has also been deleted, shows a handgun and knife. While friends and family suggested there had been no warning signs, a law enforcement source told CBS News that the teenager made a post on social media saying simply, "Dangerous days," along with an occult symbol. He had also once posted an image of a trench coat pinned with various insignia, including the Iron Cross, the German medal fetishised by Nazia. But pupils who knew Pagourtzis paint a very different picture of an 11th-grade student at the high school who, pupils said, “kept to himself”. 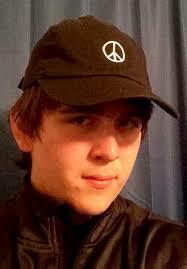 “He was really quiet, he wore a trench coat nearly every day,” fellow pupil, Mateo Twilley, told CNN. Tristen Patterson, who described himself as a friend of Pagourtzis, said he was interested in guns and war simulation games, but never talked about killing people. Pagourtzis was understood to have been interested in joining the marines and had also been a promising football player. He was also on the honour roll of his junior high school, CNN reported. One witness has said that Pagourtzis was bullied at the school. But according to Greg Abbott, the Texas governor, there were no obvious warning signs. He had no criminal history. “His slate was pretty clean”. The attack came out of the blue for his family too. n a statement, they said what happened and details they learned from the media "seems incompatible with the boy we love". The family of the 17-year-old student who opened fire on his Texas high school, killing 10 people and wounding 13 others, says what happened "seems incompatible with the boy we love." The family said they were as shocked and confused as everyone else. "We share the public's hunger for answers as to why this happened, and will await the outcome of the investigation before speaking about these events," they added.